The President of the CBI has warned that sections of the UK car industry face ‘extinction’ unless the UK remains in an EU customs union, according to BBC News. Paul Dreschler said a ‘tidal wave of ideology’ was behind the government’s Brexit approach and that there is ‘zero evidence’ that trade deals outside the EU could bring an economic benefit to the UK. 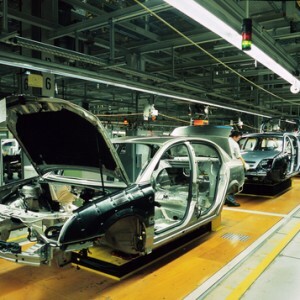 The car industry was picked out as a particular example of a sector likely to suffer unless ‘real frictionless trade’ is maintained following Brexit. Dreschler said that trade tariffs would cause increased costs and delays which could impact not only companies directly involved with imports and exports, but many others within the national supply chain. We already know tens of millions, in fact hundreds of millions have been invested by UK pharmaceutical and finance companies to create continuity post a worse-case Brexit scenario. Tens of millions. What could we have done with that money?” Mr Dreschler said. A government spokesperson said it was “focused on delivering a Brexit that works for the whole of the UK”.